In the eyes of the Afrikan community, Marley’s Sheriff John Brown is symbolic of all police, or of Babylon in the language of the Rastafarians, for whom Marley is a chief icon. In the world view of the Rastafarians, and Afrikans in general, Babylon and the police are interchangeable terms for the most visible, oppressive, and racist presence of the criminal justice system. The police are at hand to keep Afrikans in their place and to prevent or discourage overt resistance to their exploited condition. In 1989, the Toronto police carried out a surveillance program against 13 organizations and 18 individuals who participated in the campaign for police accountability measures. In 1994, a report exposed the RCMP’s secret monitoring of black power organizations, documenting the racist language and stereotypes used by the police in their descriptions of these groups and their non-violent activists. Black Police Chief in Toronto: Friend or Foe? 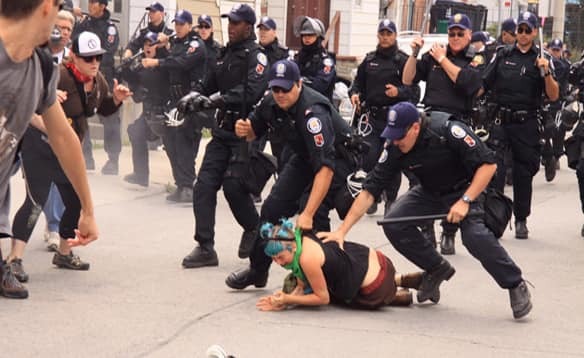 resist the repressive action of the Toronto Police Service. Would a Black police chief reduce police violence in our communities? What actions should we take to protect ourselves from police violence? Who would benefit from a Black police chief in Toronto? The unchecked lovefest displayed toward John Tory by the African Canadian petty bourgeoisie in Toronto’s 2014 mayoral election prevented this class from looking out for the best interests of the community. The Afrikan petty bourgeoisie characters who supported Tory could only point to the charitable contributions that he made to community initiatives, his charming and personable character traits and him never experiencing “a scheduling problem”, unlike other White political figures who were invited to Afrikan Canadian public events. Some members of this group also focused on their personal friendship with Tory, which glossed over his conservative policies. It is quite instructive that not even one endorser has pointed to public policies and social and income security programs that have been championed by Tory to advance the material interests of the Afrikan Canadian working-class, or even the interests of the members of these bourgeoisie elements who contend with White supremacy and/or patriarchy in society’s institutions. The exclusive fixation on Tory’s personality, the financial crumbs that he throws at charitable causes, and his willingness to fraternize with Afrikans might be an unwitting admission that his policies are irrelevant or hostile to the interests of this racialized community. 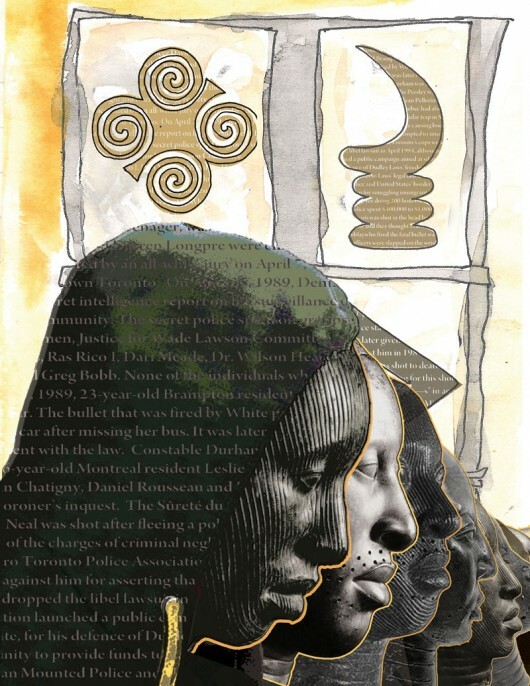 In an article published in both Share and Pride Newsmagazine last week, Dr. Ajamu Nangwaya, explained why he didn’t believe the naming of a Black chief of the Toronto Police Service would solve problems that exist between the community and the police. Although he used much stronger language. “As a member of the African-Canadian community, I am quite puzzled by the exuberant display of irrationality and misplaced expectations by some African-Canadians over the possibility of the appointment of either Deputy Chief Peter Sloly or Deputy Chief Mark Saunders as the next chief of the Toronto Police Service (TPS),” he wrote, adding that it was “the African-Canadian petty bourgeois elements who are loudly clamouring or serving as cheerleaders” for the respective candidates. For one thing, the need to celebrate “a first Black” chief is not the primary concern in this situation for most of us who are worried about who the next chief is going to be. Our primary concern is to have the board name someone who can take the force in a different direction where community policing will really mean something and community engagement will mean just that, and not the criminalizing of our youth. Secondly, the fact that we are still, in 2015, looking forward to celebrating “firsts” speaks more of this society than it does of us. And, in any case, why shouldn’t we be happy to celebrate the naming of the first Black chief of Canada’s largest municipal police service? And, thirdly, “petty bourgeois”? Really?” Are we still doing this to each other? Dr. Nangwaya does stand on solid historical evidence, though, when he suggests that the naming of a Black person to important decision-making positions might not provide the “substantive change” we expect or need. 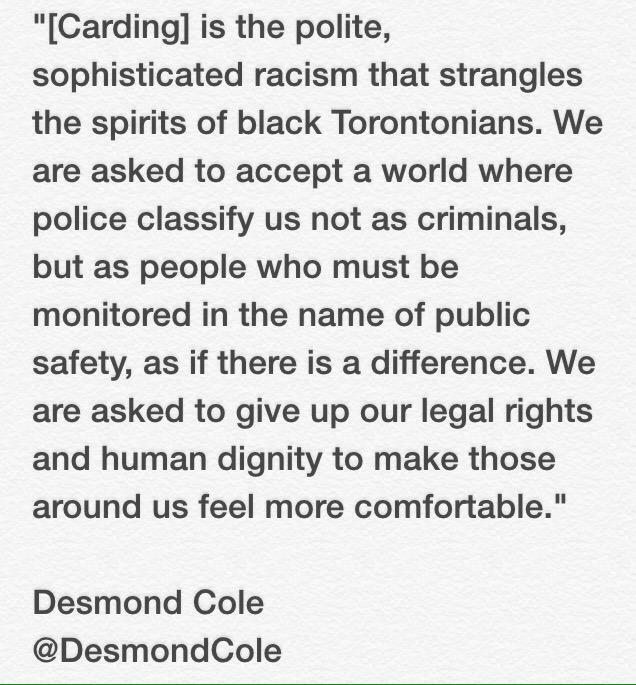 Toronto police continue to face heavy criticism for 'carding' people on the street but it appears a similar practice is widely used by other police services in the GTA , though they are quick to distance themselves from the unpopular term. In York region, authorities say they do have a policy on "police checks" but that the service "does not engage in the practice of carding." Spokesperson Const. Andy Pattenden explained the difference by defining carding as "the systemic questioning or collecting of information from citizens in specific target areas." 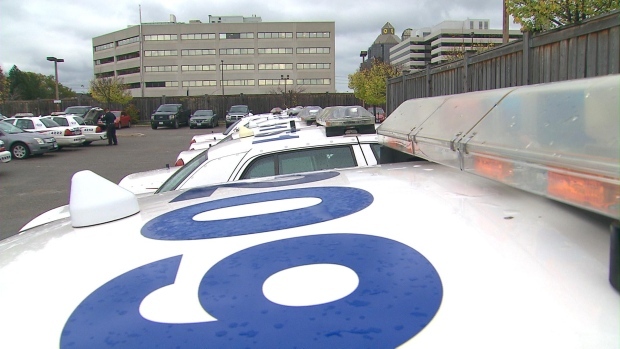 "Our officers are expected to make use of a function in our records management system to gather information and intelligence by documenting interactions such as traffic stops where only warnings are issued, noise or youth complaints where no charge is laid or calls regarding suspicious people or vehicles," he told CP24.com in an emailed statement. Pattenden said the service regularly analyzes the statistics they gather with regard to these police checks. "These statistics show they mirror the demographic of the communities we police in terms of race and ethnic origin," he added. Pattenden also said police work within the laws to collect this information. "The Municipal Freedom of Information and Protection of Privacy Act permits the collection of personal information for law enforcement purposes, with or without the consent of knowledge of that person. However our officers are mindful of the fact they must not practice arbitrary detention or discriminate against a particular group and we have internal policies which address these areas." The Durham Regional Police Service also said officers conduct street checks and fill out contact cards but officials did not provide CP24.com with the specifics of their policies. While the police practice of carding may be controversial in Toronto, Halton Police Chief Stephen Tanner says no one is complaining about it here. At Thursday's Halton Regional Police Services Board meeting, Tanner was asked about 'carding'. 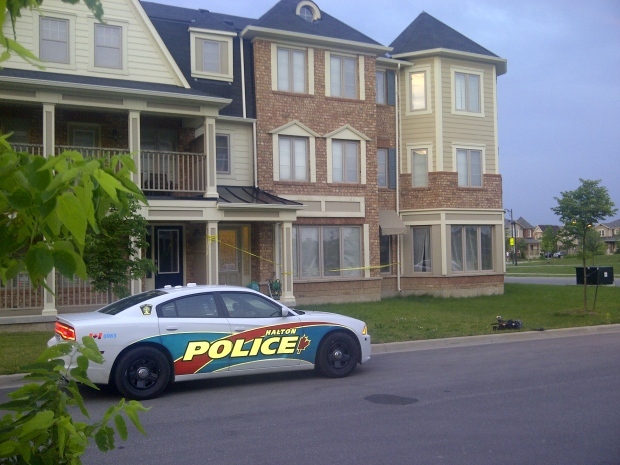 The chief said "field contacting" has been in place in Halton for decades and called it an important investigative tool. It involves obtaining the name and contact information of suspicious persons. "There are many, many times where a police officer encounters an individual in a suspicious type of situation. It's 3 a.m., they are behind an industrial mall. There have been break-ins there recently," said Tanner. "What is the person doing there? I think the public expects us to investigate that sort of person. There may not be grounds to arrest that person during that situation, but they are certainly a person of interest and by talking to them, police may get some intelligence information that later links someone to a crime." Tanner emphasized the police service has policies in place to prevent field contacting from becoming an infringement on civil liberties or racial profiling. I recently wrote an essay calling on the people of Toronto to end carding by refusing to share their personal information with the cops. They should meet any question from the cops with "Am I free to go?" 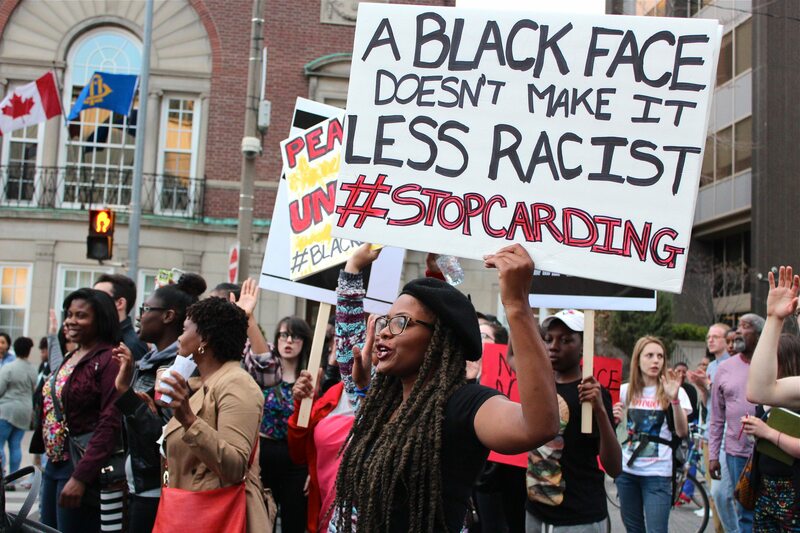 Create Neighbourhood Based Organizations: Each racialized, working-class neighbourhood should establish a participatory democratic organization to plan, direct, manage and co-ordinate the campaign to refuse co-operating with the carding regime and to push back against police violence in general. 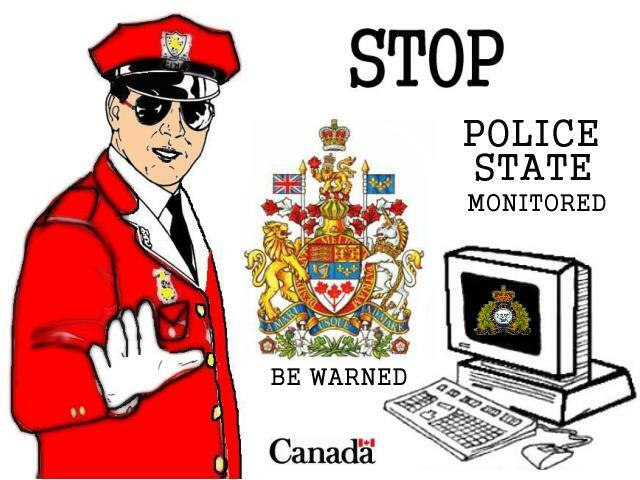 Develop Cop Watch Programs: Each neighbourhood should create a Cop Watch program to patrol, monitor, record, film and resist the violent behaviour of the cops. From the days of the Black Panther Party's cop watch patrol to today's Cop Watch projects, the police do not want to be observed and documented by residents. The Network for the Elimination of Police Violence (NEPV) has produced a guide on the dos and don'ts of filming the cops. Use Smartphone App to Record the Cops: NEVP has created the Cop Watch Video Recorder app that records and uploads your interaction with the police. Encourage all members of your neighbourhood to download the Cop Watch app and be ready to use it to document you and your neighbours' dealings with the police. Generally, cops do not like to be filmed. It tends to moderate their use of force as revealed by a Canadian research project. 'Carding' is a system where police can stop, question, document and store information from anyone they choose during non-criminal encounters anywhere in the city. One. 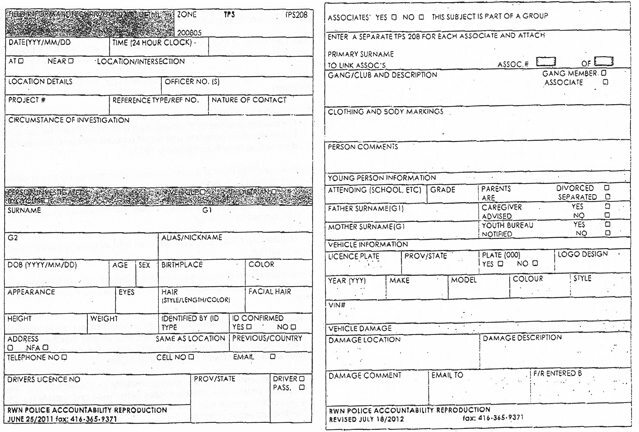 Young black men, the obvious targets of police, should file Freedom of Information requests to see their carding file. File the requests by the thousand. That should tell them what information police have on them. Much of the info is sloppily gathered, hurriedly reported as part of expected performance quotas, and out-and-out incorrect. Swamp the cops with requests. Then, expose the info online. Two. Issue “Don’t Stop. Don’t Talk” cards. Similar ones already exist, such as the No ID card issued by the Centre for Police Accountability. Expand their use. Three. Encourage card holders to video record every exchange when they show police the cards. Four. Pursue all legal means to challenge the constitutionality of the practice. The ruling by a judge this week addresses a citizen’s right to walk down the street and not answer police request for information, while not under arrest or investigation. As the judge said, it does not address whether the practice is constitutional. That question — a long-term project — needs to be answered. Five. The Ontario Human Rights Commission is so displeased with the action taken by John Tory-led police board that it has withdrawn from further discussion on the matter with the police. Good. But not enough. The Commission should pursue sanctions against the board and the service. If Tory’s position is so “inherently flawed” and a “retreat from earlier more progressive positions” designed to prevent racial profiling, the human rights commission should commence an investigation. Six. Where is Toronto city council on this? Where is the council-approved resolution denouncing the current practice, slamming the reversal of reforms and demanding the board ensure all citizens are treated equitably? Seven. Snub the Perpetrators. Groups such as the Harry Jerome Awards, Planet Africa, African Canadian Achievement Awards, the Jamaican Canadian Association and others should suspend their relationships with Toronto police, the mayor’s office and the police services board until these reasonable concerns are addressed. Do not invite them to your churches, your events or to the places you gather. Ask them to arrest you or leave you alone. That’s the advice I’ve contemplated giving to young black men who are the target of discriminatory police practice of carding. You are not a criminal. You have done nothing wrong — except Walking While Black. The approaching officer does not accuse you of a crime. The officer doesn’t inform you of an investigation or that you are a suspect? My sons talked me out of it. “You’ll get these kids shot,” my law-graduate son argued, already cynical. Now, a judge seems to back my view. I’m not sure whether I should be amused or insulted by the proposition, put forth by various police officials over the last half decade, that carding plays an indispensable role in maintaining public safety. With confrontations between citizens and police on the rise, new technology is allowing users on the front lines to upload clashes instantaneously to the Internet. Following the events of alleged police brutality in Ferguson, New York and now Baltimore, protests have risen in cities across the country, and many protesters come ready to roll the cameras. A handful of new smartphone apps help ensure that users will be able to get their video evidence out to the public before it can be destroyed by police and leverage the power of social media to bring attention to the protest movement. "You are seeing more instances of cops perhaps trying to stop someone from recording an incident that is going on so there has been a movement to have apps that make it easier for you to not just record something on your phone but get it up on YouTube immediately without you having to fiddle around and save it," CNET's Bridget Carey told CBS News. 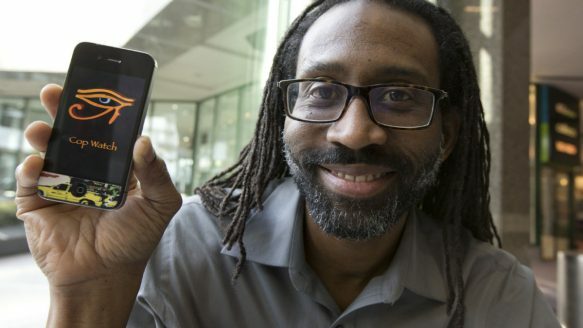 Among the most popular is Cop Watch, a free app created by the Network for the Elimination of Police Violence in Toronto. The app allows users to begin recording as soon as it is launched, and to upload video to YouTube automatically. It's available on App Store for iPhone, iPod Touch, and iPad. In the last few days I have seen U.S. vehicles filled with tourists from New York City, Florida, Ohio, Georgia and even Texas cruising around our city. It seems like we are teeming with visitors here for the Pan Am Games and now the Toronto Caribbean carnival parade that takes place next week. The visitors remind me of what a beautiful city we live in. Visitors love it here and most do return because we are a friendly bunch and the city is safe and clean. But as we know there are simmering concerns in the community, like the uncalled for street checks of young men by Toronto police, that when corrected will make our quality of life even better. Partiers driving or flying to Toronto for the August 1 parade are here to visit family or friends, eat some good food and jump up behind the bands near the water. They feel free and for the most part, Toronto cops stand back and keep things safe for all. Having got a chance to review what is being proposed as the Community Engagement Policy of the Toronto Police Services Board and the Joint Statements of the Board and Police Chief William Blair. I am absolutely appalled and horrified by some aspects of the content of these guidelines and by the events that have led to this revised, watered down version of the Policy, as well as some critical features of the current policy which have been omitted from this Draft Policy. 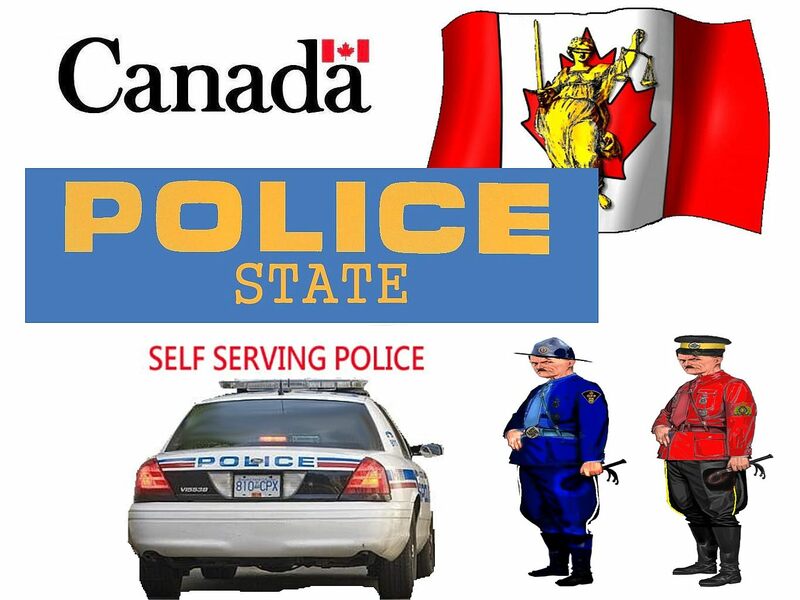 Essentially, The Board has taken upon itself to make constitutional law (a role that devolves to the Parliament of Canada under the Constitution), by giving the police the authority to stop and interrogate any person, without having reasonable and probable grounds for assuming that the individual has committed an offence, or are likely to commit an offence. This is in definite violation of the Rights protected under the Charter of Rights and Freedoms. This Policy therefore, constitutes an attempt to amend the Charter of Rights And Freedoms by the Police Services Board and the Chief of police, with the aid of an old retired Judge whose rulings should be researched. It is incongruent with the charter, the Human Rights Code and the Police Services Act, all of which the policy purports to uphold. Most of the language in the policy is from the regular police vernacular, including the new proposed name for the Policy, “Police Engagement” All of police activities are engagements, however, sometimes the engaged persons end up badly injured, and/or many of them end up dead. FILM SCREENING: "Crisis of Distrust: Police and Community in Toronto"
GROUP DISCUSSION & PLANNING: discuss the film and actions needed to collectively organize and fight for justice.